If you haven’t checked out Part 1 of this reading list, do so here. Contrary to popular belief, Masters programs are not the most conducive setting for any kind of reading. As a writer and editor who stepped away from that field to enter a graduate program in city planning, I knew I would miss my work with words of many kinds. I remember a conversation in a research design course in November around an essay that extolled the value that reading widely can bring to the mind of a researcher, which so often works in metaphor and thrives on the uncanny connection; it was a lovely idea which had thus far been somewhat unachievable. This summer, as I prepared to head to Pittsburgh to work for the city on housing policy, I resolved to revive and expand my reading again, for pleasure and to break some of the less ideal thought habits that intensive academic work can breed in the mind. As I’m wont to do, I first gravitated toward books about place, and specifically the place I would call home for a few months. I stockpiled Pittsburgh titles, brought along books I’d acquired over the course of the year but were left lonely on the shelf, and, upon arrival in the new city, got to know it through its fine bookstores as well. A reading list that stretched across genres and forms so as to stretch my brain took shape. Two years ago, I came across Herrera’s Signs Preceding the End of the World. Somewhat uncharacteristically, I bought it based on the title and a desire to read some new Latin American writers alone. That turned out to be a great decision. It is one of the most haunting narrations of crossing the border I’ve come across, spare and powerful. In June at City of Asylum Books — the store component of a rather impressive organization in Pittsburgh that supports refugee artists through fellowships, housing, and programming — this slim volume caught my eye. As with Signs, I read it one sitting, another haunting account, this time of violence wrought by an epidemic and feuding families. Herrera’s ability to set a tone and a mood so quickly, and with so few words, are as impressive as his handling of moral ambiguity. Arguably Pittsburgh’s most famous native son, August Wilson came up in the city’s Hill District which, like so many historically black neighborhoods in cities across the country, were devastated by the duel bulldozers of urban renewal and federally backed disinvestment. His plays reflect it: all but one in Wilson’s monumental Century Cycle – one play for each decade of the 20th century — is set in Pittsburgh. When I arrived in the city, it was off to the Carnegie Library to fill a bag chock full of the series. 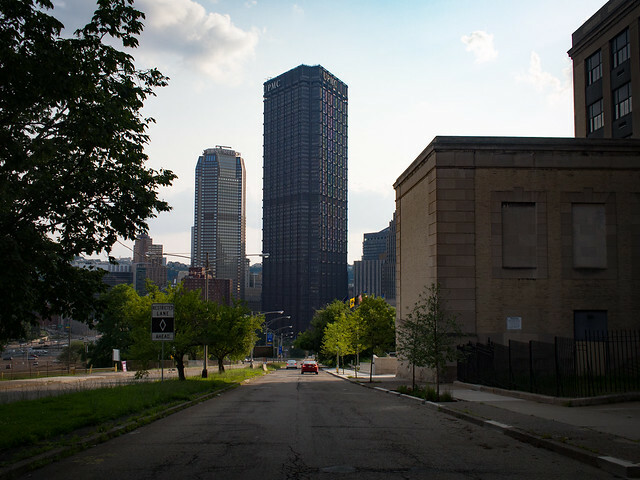 Many people have been surprised when I mentioned that the plays are set in Pittsburgh, though given that their sense of place is relatively weak, that’s not unexpected. Most could be set in any Rust Belt city within a train ride of Chicago. No matter – reading the plays are to delve into masterworks of storytelling. Their evocation of the indignities and challenges as well as the hopes and triumphs of Black Americans in the last century are made particularly potent by the density of ideas and the speed at which they play out in Wilson’s characters. This is peculiar to reading, rather than watching, the plays: the joy put forth in the ubiquitous music of the plays and of characters ragging on one another gets lost. With this relief stripped away (for an imagination not quite as ripe as Wilson’s) the drama and the tragedy is distilled and the relevance of the stories – their equation with contemporary times – made heartbreakingly clear. I’m on a midcentury break for now. I’d seen this book on best-of lists and on many a bookstore front table in the last couple years and have even given it as a gift, though hadn’t read it. I’m fortunate enough to have a kind friend who remembered my hmmming and haaaaing about what to purchase in one bookstore and to finally connect me with this memoir on my birthday. It strikes me as a fine companion to Annie Dillard and thus a fitting bookend to my summer reading (though hopefully not the last book I’ll get to). The book centers on coping with tragedy through building a bond (in this case between a falconer and her goshawk) and contending with an old memoir about such a relationship. The descriptions of landscape, flight, violence, and loss thus far are potent. I’m attracted to these works that take dated texts and grapple with their meaning to an individual, not unlike Branden Jacobs-Jenkins incomparable play An Octaroon. There are few things I love more than getting a book in the mail, so I was delighted to be loaned these two by a close friend, along with loving post-it notes: “read this one first … “ “then this one.” I spent a good part of last year thinking about love and the end of a long-term partnership, and then about a civic love that felt so sorely needed – deafening in its absence at times and overwhelmingly present at others. I’m keen to end my summer with these and to carry new and deeper understandings of love, and renewed commitment to infusing my work with it, into my final year of graduate school and on into practice beyond. While my reading for the summer didn’t end up wholly focused on Pittsburgh, the joy and power of being in a place and reading works of that place came forward in myriad ways. A friend of a friend noticed my copy of An American Childhood and noted that the “handsome” David young Annie Dillard used to accompany to a West Virginia farm was her father, the farm her extended family’s. Exploring the Carrie Blast Furnaces that melted Carnegie’s iron ore that made the steel that made him millions, the man who jumped in the freezing river to avoid arrest after being accused of stealing a bucket of nails in Wilson’s Gem of the Ocean haunts. As with all good writing, these places became imbued with much more depth, a palpable history and imaginary that makes the physical world all the richer — a broadening of sight that’s for me otherwise unattainable. Jonathan Tarleton is a masters of city planning student at MIT, a freelance writer, and an oral historian currently living in Somerville, Mass. He served as the chief researcher and a contributor for Nonstop Metropolis: A New York City Atlas, published in October 2016 by University of California Press and editors Rebecca Solnit and Joshua Jelly-Schapiro, and was formerly the editor-in-chief of Urban Omnibus. Find more of his writing at jonathantarleton.com.